One of the main sections of the coalition agreement creating the 33rd government of the state of Israel, set to be signed Thursday, includes a radical change in the approach of the state to exemptions that had been granted to hareidi yeshiva students from service in the IDF. With the striking down of the Tal Law by the High Court, the government of Prime Minister Binyamin Netanyahu had been desperately searching for a workable substitute that would regulate the issue of the draft of hareidi yeshiva students. Sources in Bayit Yehudi said they had managed to alleviate some of the harsher strictures that Yesh Atid had sought in the agreement, and had even improved the standing of yeshivas in some ways. Among those accomplishments, party sources said, was the recognition by the state for the first time of the importance of Torah study. The coalition agreement will read “the State of Israel recognizes the importance and centrality of Torah study as a central value of the Jewish people and the State of Israel.” Students who do receive exemptions will be receiving them as Torah students upholding these values, as opposed to receiving them for “academic excellence,” as Yesh Atid had sought to have them termed. In addition, the draft of yeshiva students will begin at age 21, instead of age 18 – giving students an automatic deferment of three years. At that point, they will have to serve two years, like all other Israelis, as the coalition agreement calls for an eventual reduction of service for all Israelis to two years, instead of the current three years. The reduction in service for all will be possible as a result of the extra manpower the army will have with the inclusion of hareidi yeshiva students. 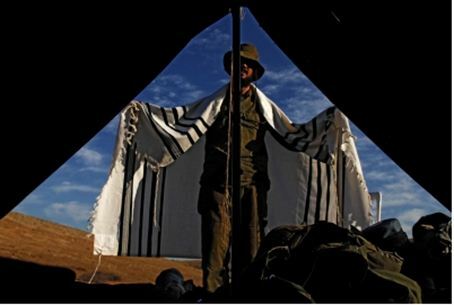 The army will significantly increase the number of Nachal Hareidi units to accommodate the new recruits. A wide-ranging plan for the drafting of women that Lapid had sought was also shelved, Bayit Yehudi said. Yeshiva students who refuse to appear for military service will not be criminally charged, as had been planned. Instead they will be subject to economic sanctions, losing virtually all government support. Party officials said that this aspect of the agreement would avoid the “doomsday” scenarios hareidi political leaders portrayed of jack-booted military police marching into yeshiva study halls and pulling students away from their Talmud folios. No arrests will be made in yeshivas, the deal specifies. The number of students who will be exempted for Torah study will be 1,800, far more than the 400 Lapid had suggested. The plan will take effect only in 2017, and students who are beyond enlistment age up until that time will not be “grandfathered” into the arrangement.